Prime Minister Justin Trudeau claims that there is no more important relationship than the one with Indigenous peoples and committed to a renewed nation to nation relationship based on respect for Indigenous rights. To this end, Trudeau made many promises to First Nations, including a commitment to review and repeal all of the laws imposed on First Nations by the former Conservative government led by Stephen Harper. This is a significant commitment from the Liberal government, as Harper passed numerous laws impacting Indigenous rights — without complying with the legal duty to consult, accommodate and obtain the consent of First Nations. Laws related to drinking water, elections, financial transparency, matrimonial property, land surrenders and the removal of protections for lakes and rivers were passed in spite of strong opposition by First Nations. One bill which attracted a great deal of resistance was Bill C-10 An Act to amend the Criminal Code (trafficking in contraband tobacco). Bill C-10 created the new offence of trafficking in contraband tobacco and also prescribed minimum prison terms for repeat offenders. The RCMP defines contraband or illicit tobacco as including product “unlawfully manufactured in Canada, mainly on First Nations reserves and territories.” Yet, it is only unlawful to the extent that the federal government has made it unlawful. Current laws completely ignore the inherent, Aboriginal and treaty right of Indigenous nations to engage in their traditional economies. Not only do Indigenous nations have a right to trade in tobacco with other Indigenous nations, but they have a right to trade with settlers as well. Part of the traditional practice of trading in tobacco was trading with Europeans — which is in fact how Europeans came to enjoy tobacco today. Indigenous nations in North and South America have been growing, manufacturing and trading tobacco for thousands of years. Some anthropological estimates put the growth and use of tobacco as a crop by Indigenous peoples as early as 5000 BC. 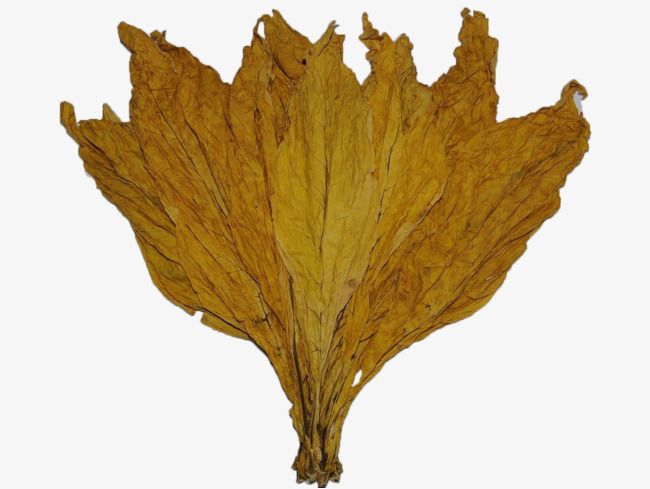 Indigenous peoples manufactured the tobacco plant for use in ceremonies, sacred rites and rituals, and it is still used in ceremonies today. Tobacco is often gifted to elders to perform ceremonies or exchanged between First Nations as part of cultural protocols, for example. Tobacco was also traditionally manufactured for snuffing, chewing and smoking as well as medicinal purposes and was even used as insect repellent. By comparison, European settlers did not start growing, using or trading in tobacco until very recently — in the last several hundred years — and only because Indigenous nations introduced it to them. If there is one economy that should be exclusively managed, controlled and legislated by First Nations — it is the tobacco trade. The Indigenous tobacco trade is an essential part of the traditional and modern cultural practices and economies of many Indigenous nations in what is now known as Canada and the United States. They have managed, protected and benefited from the many natural resources within their traditional territories since time immemorial — including tobacco. Today, the inherent, Aboriginal and treaty rights of Indigenous nations to engage in traditional practices, such as the growth, manufacture and trade in tobacco, are governed by traditional and modern Indigenous laws and regulations. 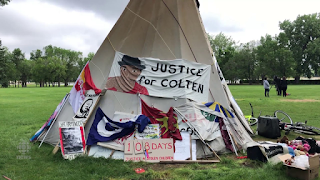 These practices are also protected in s. 35 of Canada’s Constitution Act, 1982 which specifically protects Aboriginal and treaty rights — including pre-contact practices that were integral to Indigenous cultures. The United Nations Declaration on the Rights of Indigenous Peoples (UNDRIP) provides that Indigenous nations have the right to self-determination which includes the right to freely pursue their economic development (article 3); the right to be secure in their own means of subsistence and engage freely in all traditional and economic activity (article 20); and the right to benefit from their own lands and natural resources in their territories (article 25). 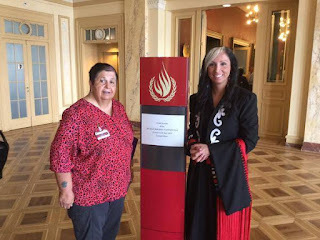 While the United Nations considers these standards to represent the minimum standards for the “dignity, survival and well-being” of Indigenous peoples, Trudeau’s government has also committed to implementing UNDRIP into domestic law. At a minimum, the current government should exempt First Nations from these unconstitutional and human rights-infringing laws which criminalize the Indigenous tobacco trade. Article III of the Jay Treaty of 1794 recognized the trading practices of Indigenous nations north and south of the imposed border and confirmed that their rights to live and pass freely over the border would continue to be protected and included an exemption from customs, duties and other fees. In fact, a report of the Special Parliamentary Committee on Indian Self-Government (known as the Penner Report) specifically recommended that Article III of the Jay Treaty be specifically implemented into legislation. Instead, Canada has continued to deny Indigenous nations their long held rights to trade over the border. The problem is less about Indigenous criminality and more about colonial control of Indigenous practices for the benefit of non-Indigenous governments and corporations. In other words, the crime of contraband tobacco was created to disentitle Indigenous nations from engaging in their own tobacco trade. Not unlike what federal and provincial governments did with hunting and fishing. Characterizing Indigenous peoples who engage in the tobacco trade as gangs, criminals or members of organized crime is racist, factually wrong and is itself a form of hate crime insofar as it paints all Indigenous peoples in the trade as criminals and dangerous. Indigenous nations have just as much right to provide food, clothing and shelter for their families as anyone else, including Canadian businesses, like convenience store owners - who do not have constitutionally protected rights to engage in the tobacco trade. 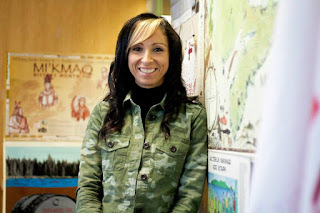 The racist backlash experienced by First Nations from being characterized as criminals stems directly from federal and provincial laws, policies, and enforcement measures which appear to target First Nations. Canada can’t have it both ways — they can’t complain about the cost of First Nation poverty and continually criminalize all our means of subsistence. This focus on contraband tobacco appears to be less about addressing organized crime and more about who gets to profit from the tobacco trade.